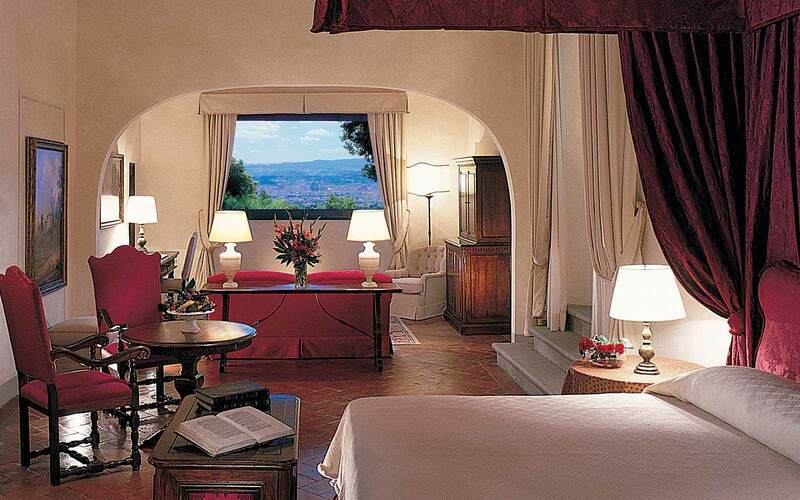 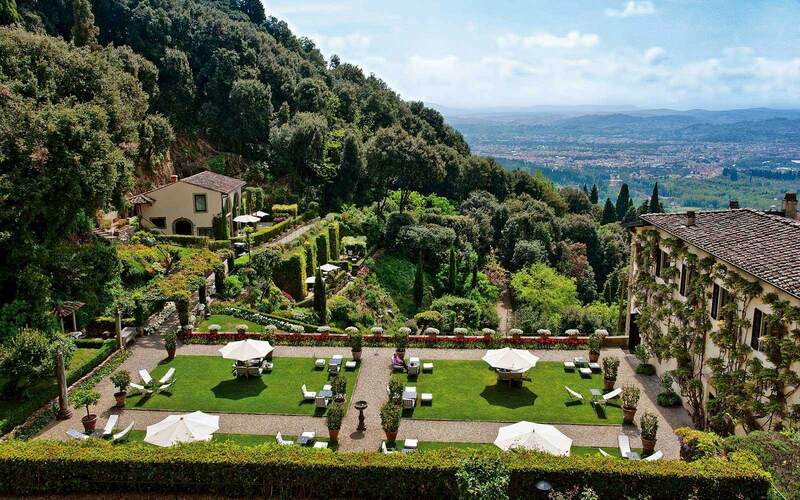 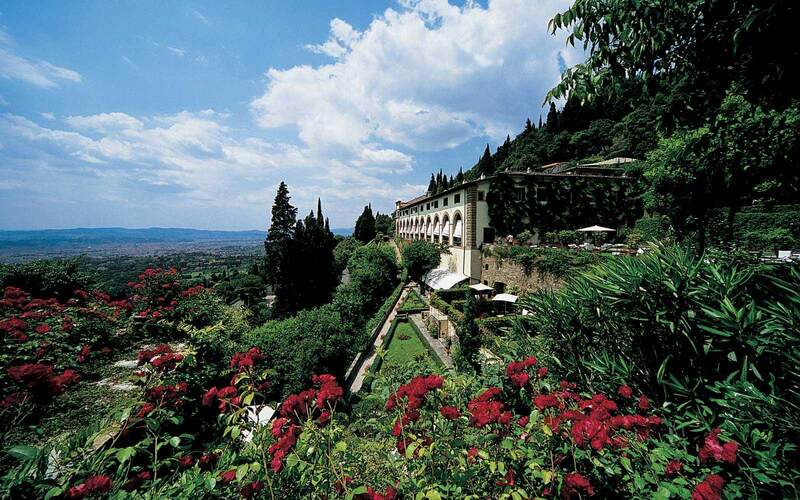 The Belmond Villa San Michele must be one of the most romantic places in the whole of Italy. 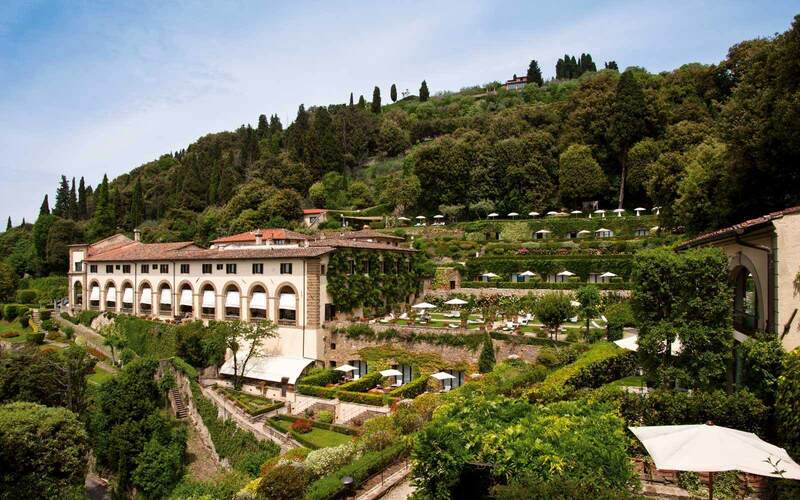 This former monastery sits nestled in the hillside town of Fiesole, and is surrounded by beautiful terraced gardens, overlooking the city of Florence. 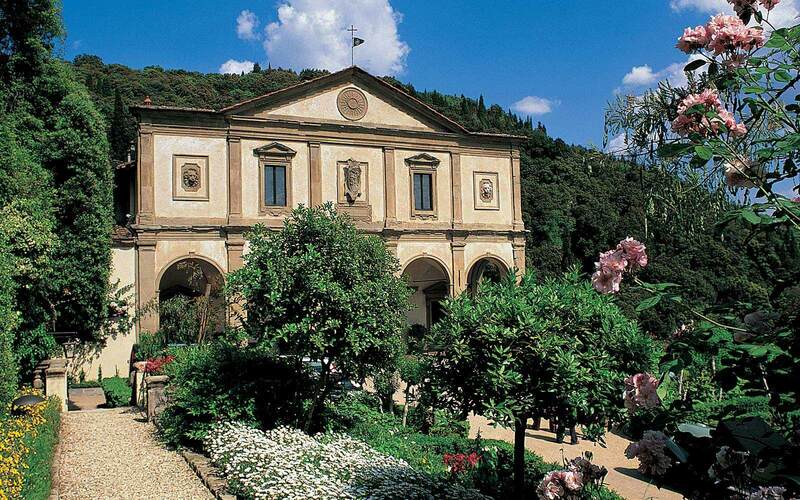 Dating from the 15th century, its façade is attributed to Michelangelo, with the stunning loggia dating back to 1600. 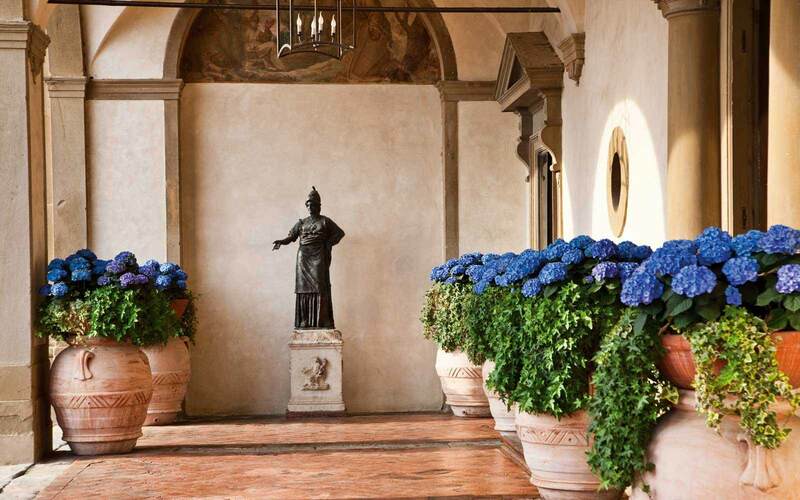 Much of the original artwork now resides in Florence’s museums, although a number of works can still be seen at the Villa, including the 17th century fresco by Nicodemo Ferrucci, depicting the Last Supper, and which adorns what was once the monks’ refectory. 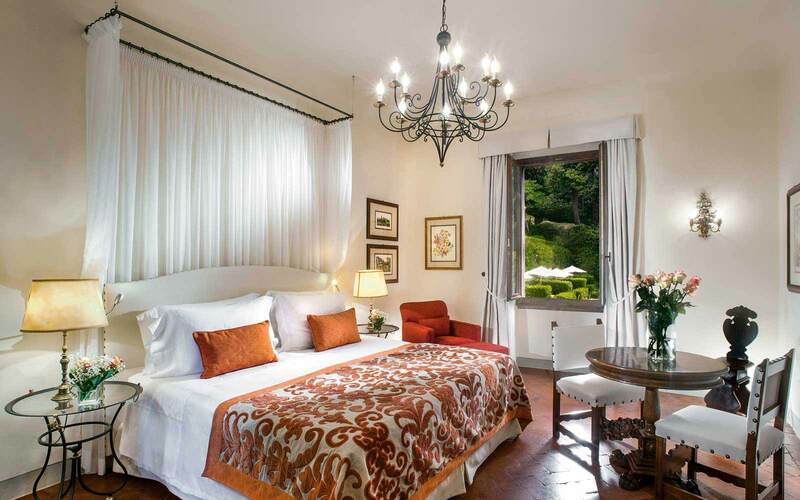 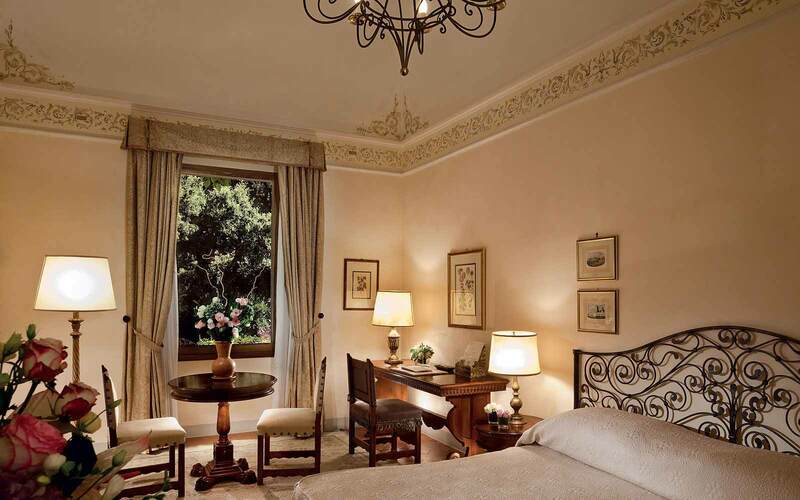 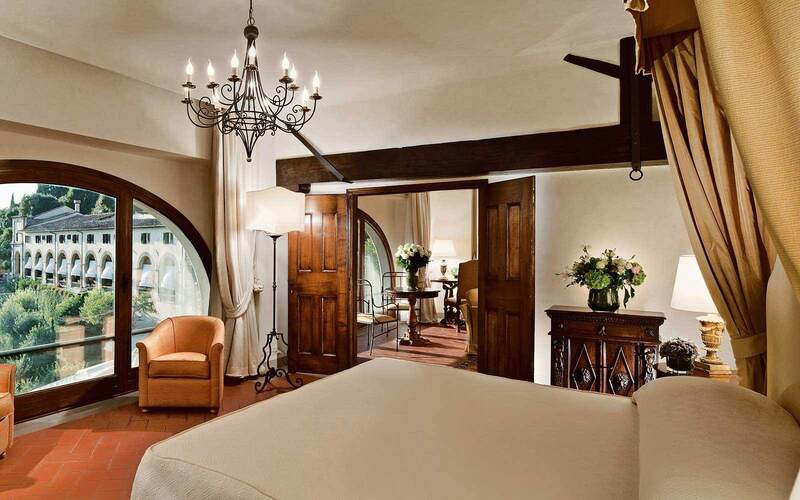 In 1982 the Villa underwent extensive restoration, and now offers 46 guestrooms and suites, located in the old monastery building or nestled amongst the lovely gardens. 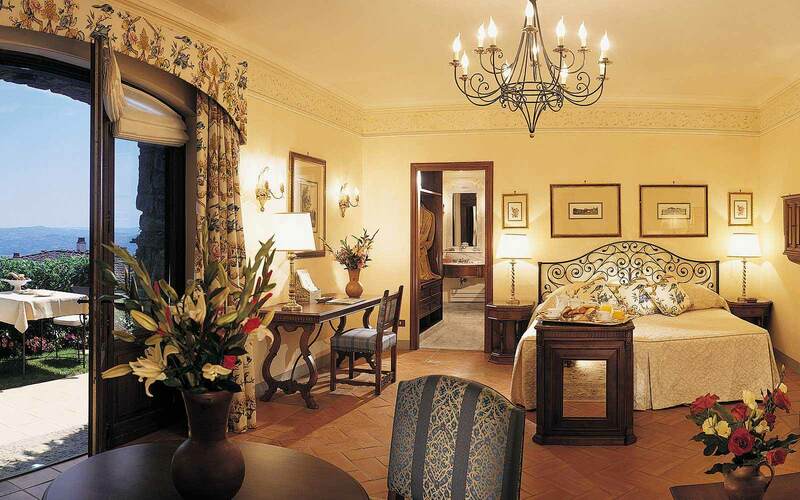 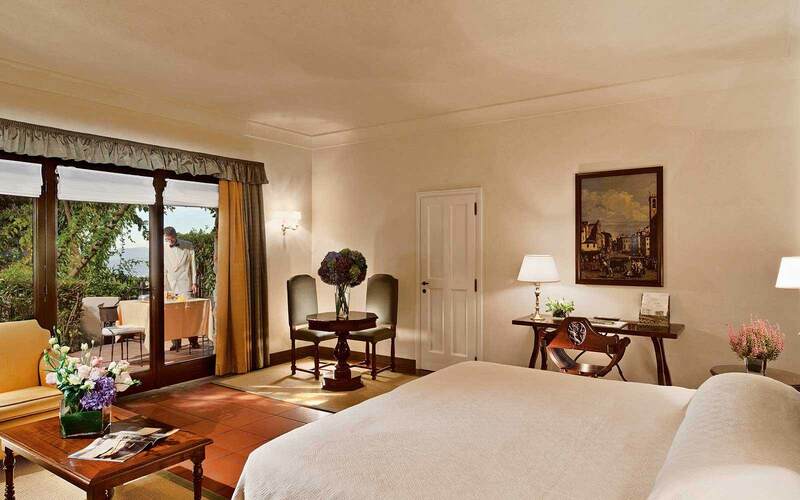 Each room is unique and furnished with exquisite period furniture. 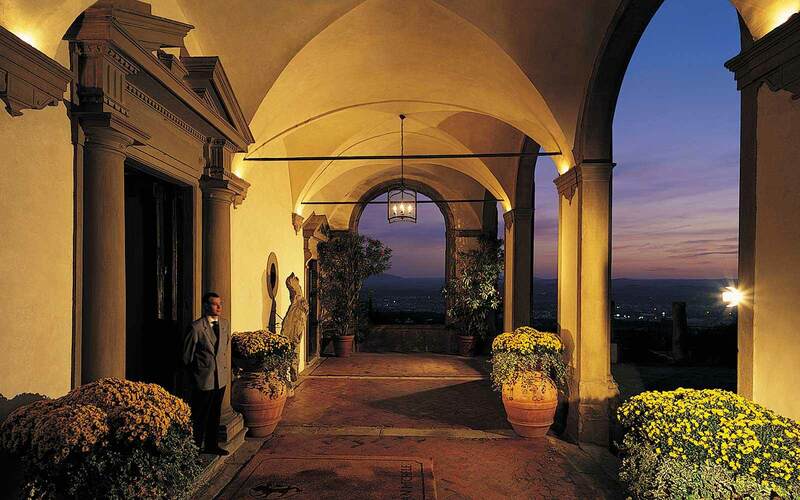 The ‘Loggia’ Bar is a popular rendezvous for pre-dinner cocktails or after-dinner relaxation, with piano accompaniment. 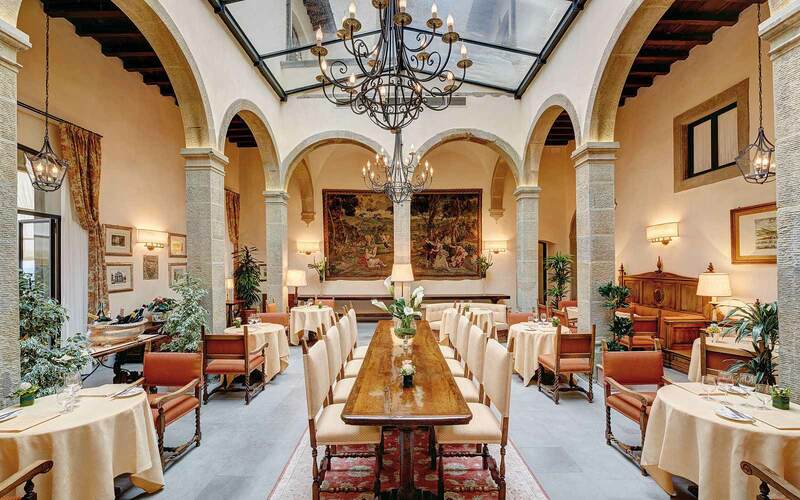 The quiet ‘Cloister Bar’ with its glass roof and antique décor is the ideal resting place after a day’s sightseeing in Florence. 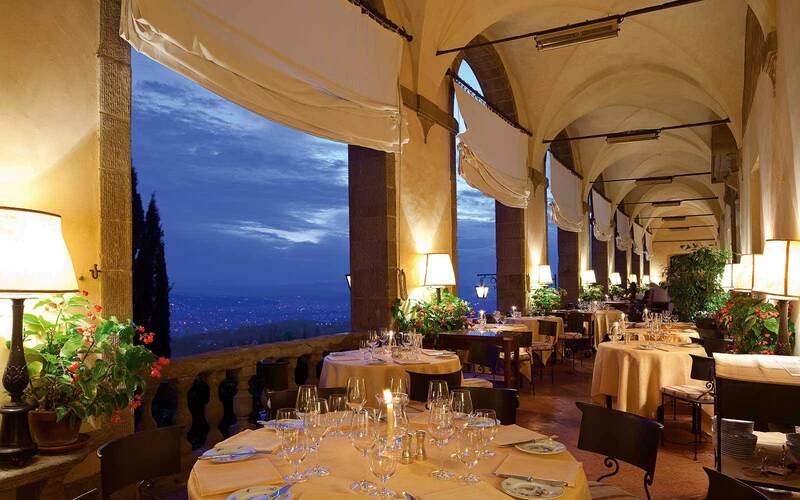 In late spring and summer the terrace of Restaurant ‘Loggia’ is the perfect place for a superb lunch or dinner, whilst in early spring and autumn the magnificent Chiostro and Cenacoio rooms provide a wonderfully historic setting in which to enjoy the fine Tuscan and Italian cuisine. 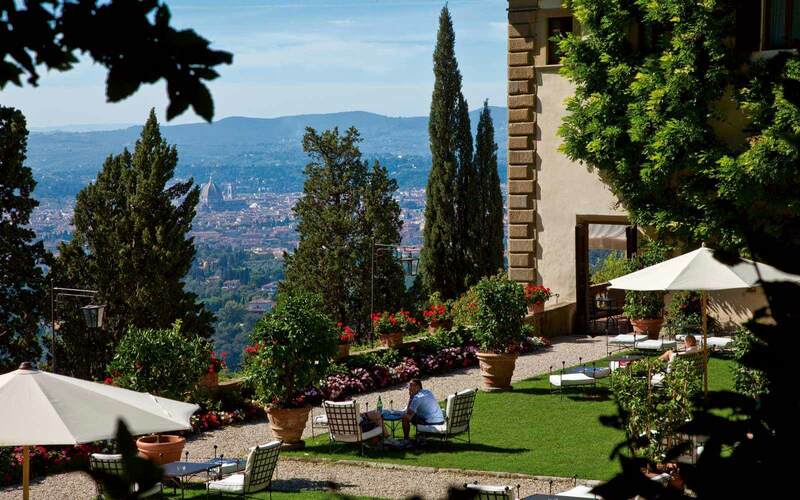 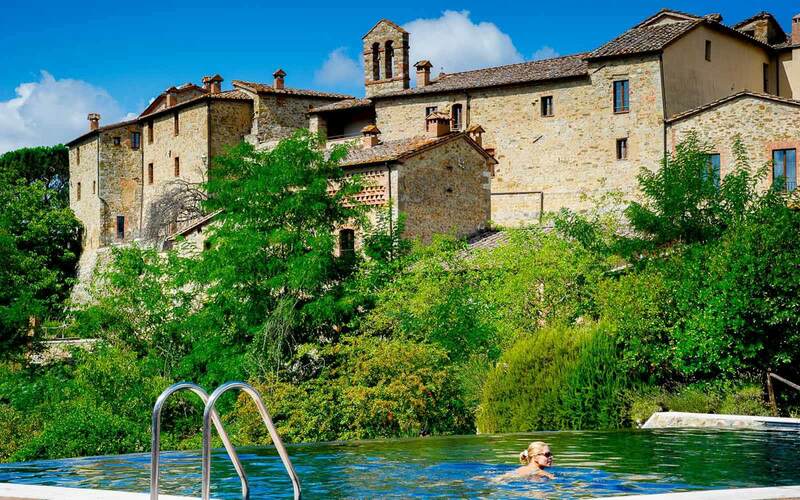 Relaxing at Belmond Villa San Michele comes naturally, especially at the stunning hilltop swimming pool, with its terraces overlooking Florence. 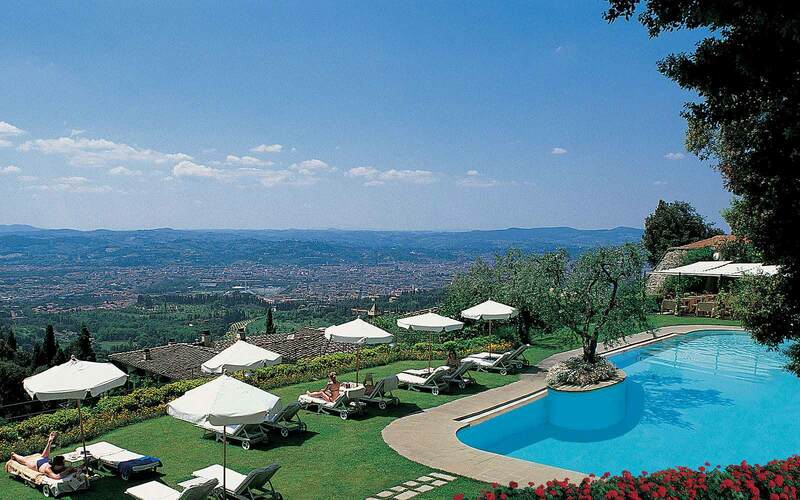 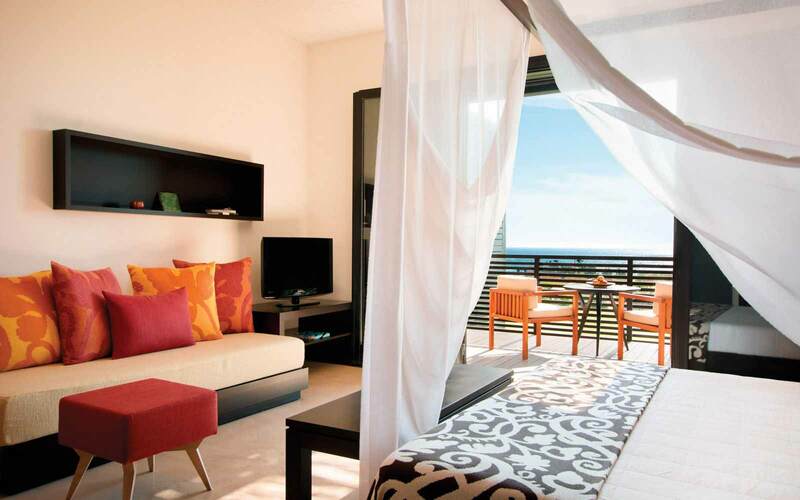 Here guests can sunbathe on the terrace or sit in the cool, shaded areas, whilst enjoying a drink or a light lunch from the Pool Restaurant. 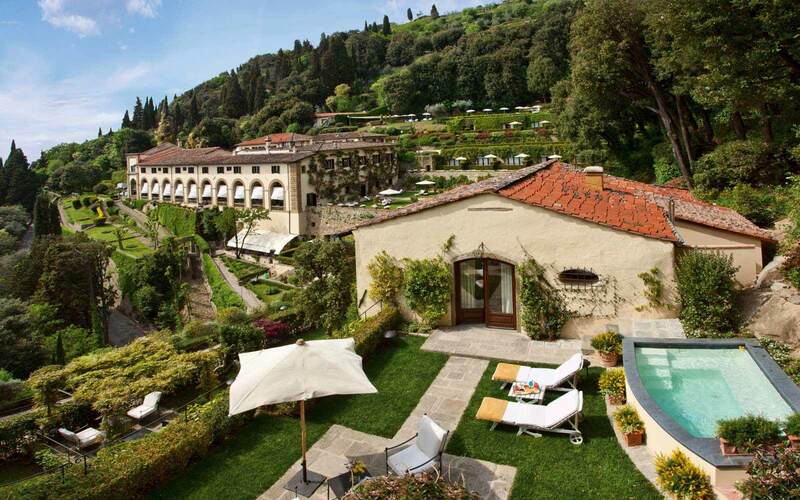 This stunning Renaissance villa is as much a part of Italy’s heritage as the great cathedrals and galleries, and affords the guest a unique stay in a stunning location.